Part of cultivating a good life is to stay healthy and fit. 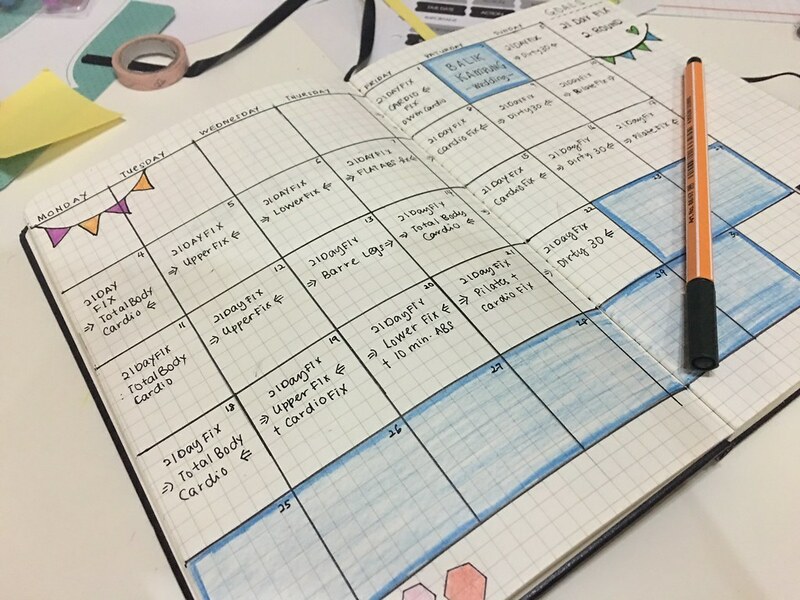 I have been trying a few method to plan and document my fitness journey with erin condren planner but somehow I just can't get into the system. 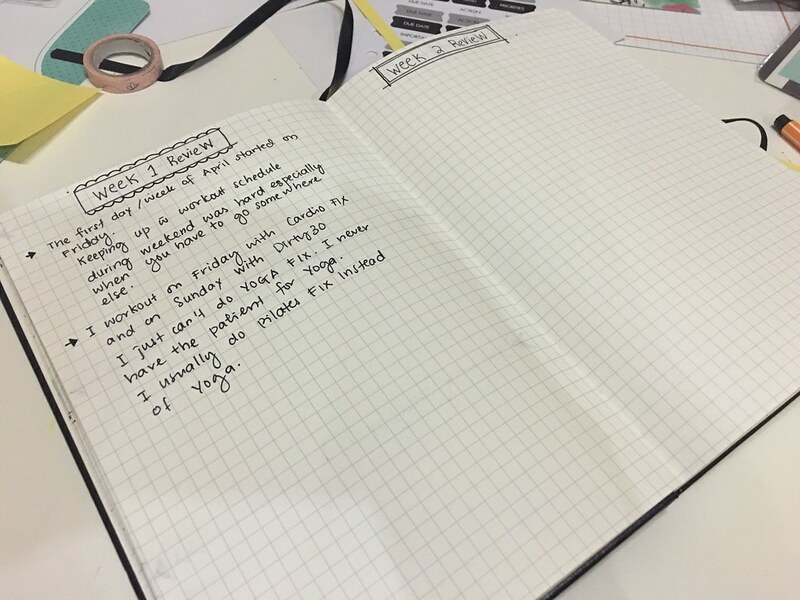 I watched a lot of youtube channel about bullet journal and I fell in love with the concept. 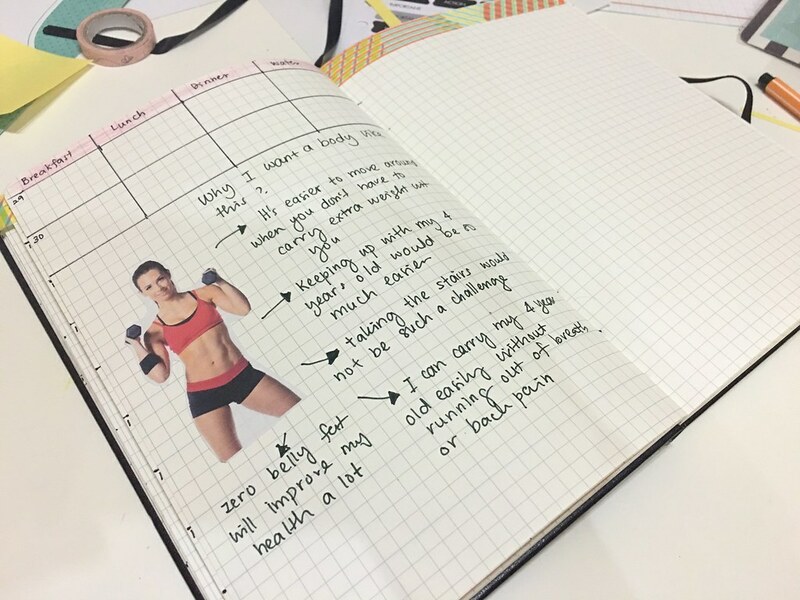 So this month I decided to make my fitness journal in a bullet style journaling. This month I am doing 21 day fix program. It is one of the best program have ever tried after Insanity Max 30. I want to keep track of habit related to fitness and this is what I got so far. I probably will break down all things related to fitness a little more detail. 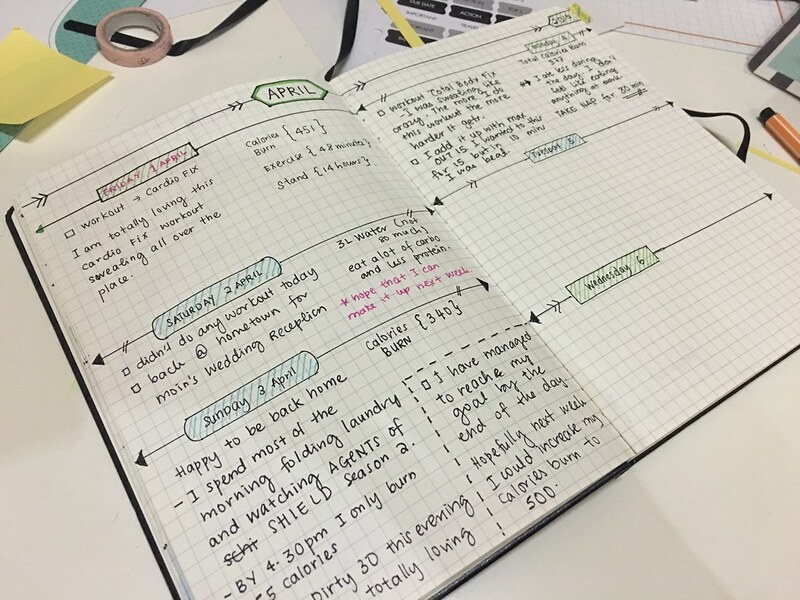 This is how I setup daily fitness journal. I like writing down my thoughts and feeling about the workout I did that day. I am trying to do a weekly review. Reflect on what works and what didn't work. Adding Fitness wish list in the mix. I am eyeing fitbit alta just because the battery last for 5 days and it constantly monitor steps, calories burn and sleep. I am also trying to record what I ate for the month. I am still looking for a prefect meal plan for me, a woman in my forties and living in Malaysia. This is not an easy thing to do. Most of the healthy stuffs here are a bit expensive. We are a society that celebrate food and carbohydrates . I hope in the process of documenting my fitness journey I will find a meal plan that works for me. My inspiration for the month is to list down why I want a body like Autumn Calabrese. I believe that when you know why you want to achieve something, it's easier for you to push through and endure the pain. 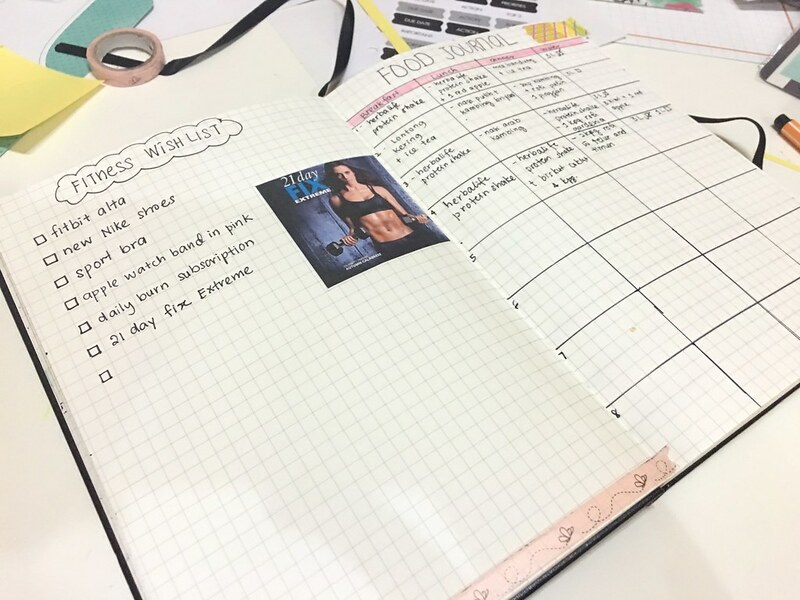 I am looking to add a meal plan and recipes in this journal but I have not found the one that I like yet. 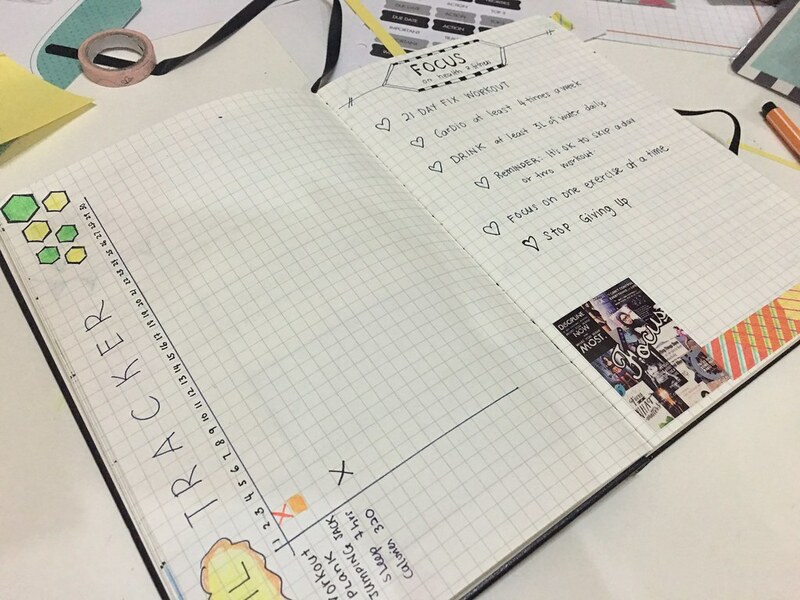 I am about to start on my fitness journal as well. Not sure to start on what kind of planner and the planning system. Then rezeki I stumbled across ur blog. May I know what kind of book that ur using? For this journal I used essential grid notebook from www.peterpauper.com. I got mine from Border bookstore.